One look at the charming Mediterranean island of Cyprus and it is easy to imagine why Aphrodite, the Greek goddess of love and beauty would have chosen this place to make her earthly home. Somewhere along the southwest coastline of this island is a rock stack called the 'Petra tou Romiou' or the Rock of the Greek. According to legend, it is also the rock where Aphrodite emerged from water and set her feet on land blessing the entire island with a beauty that is as ephemeral as it is ancient. And if you can for a moment forget the ethnic differences that have caused a rift in the island nation, the stunning vistas and the balmy climate make for an ideal vacation and tourist spot that no one should miss out on. Cyprus is an amalgam of contradictions and confusions. Straddling the seas between Greece and Turkey, the country has both a European heritage and a Middle Eastern tradition. The old architecture wonders of Paphos for instance remind you of the grandeur of the pan-Hellenic world what with ionic columns and whitewashed Greco-Roman buildings dominating your sight. And then, you have the traditional cuisine that shares abundant similarities with Lebanese cooking, in contrast to the cold-water washed shores of the Mediterranean where fish is the main meal. Such contradictions make for a rich culture and a people proud and aware of their ancient traditions. The political problems may have scarred the country geographically, but as a community the Cypriots have a very strong sense of tradition and a heightened respect for old values. Cyprus is a treasure trove of experiences. Whether your interest is in exploring the yet unspoiled coastline of the country with its stunning views of the Mediterranean Sea, or diving deep into the history of the nation, Cyprus will never stop to amaze you. Many tourists also make this island a base to discover more of the Hellenic world, and to understand the cultural Diaspora that inhibits this region. The island of love is also a famous honeymooners' paradise and, the many beach-side resorts and five-stars hotels are testimony to the fact that Aphrodite's followers still reign supreme here. 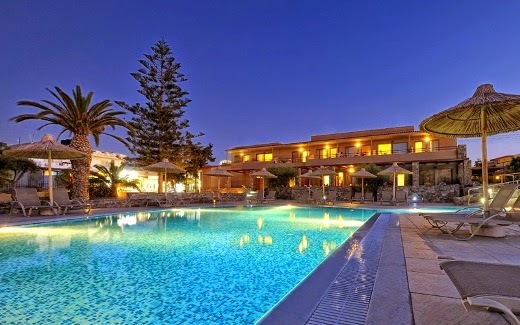 Of the many famous five and four star hotels and resorts in this country, is the Golden Tulip group of five-stars hotels in Nicosia and Larnaca. Suitable for all groups of travelers, these hotels are the perfect embodiments of the generosity and hospitality of a country that traces its roots into antiquity. Krabi is the most beautiful and happening province in Thailand. No wonder it attracts millions of visitors every year. To enjoy the Krabi experience to the utmost, it is essential to stay in luxury Krabi hotels. This doesn't mean burning your pocket. 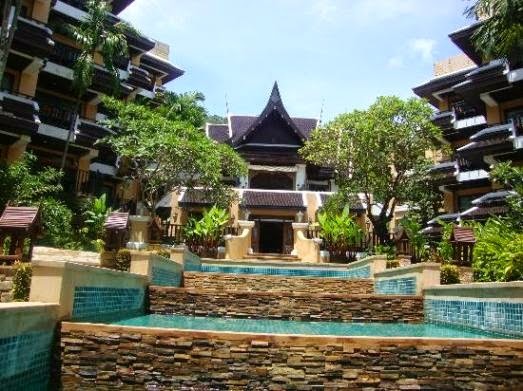 Here is a list of affordable luxury Krabi hotels. 1. Amari Vogue Resort, Tub Kaek beach: This five-star hotel gets even lower during off-season. 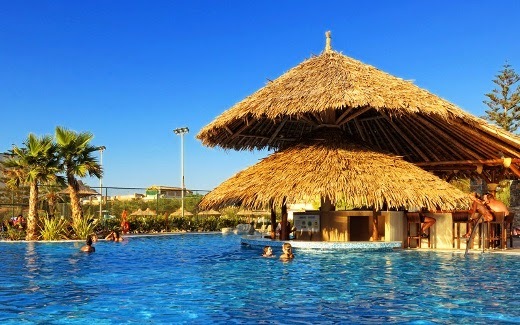 The magnificent resort looking out over the beach has all its 57 rooms affording ocean views. 2. Centara Grand Beach Resort & Villas, Ao Nang: Set in a private bay, Centara Grand tariffs are moderate for a five-star resort. The resort provides spectacular views of the aquamarine sea, white sand beach and towering limestone karsts. 3. Sheraton Krabi Beach Resort, Klong Muong beach: Another affordable five-star resort with the added advantage of Sheraton hospitality. 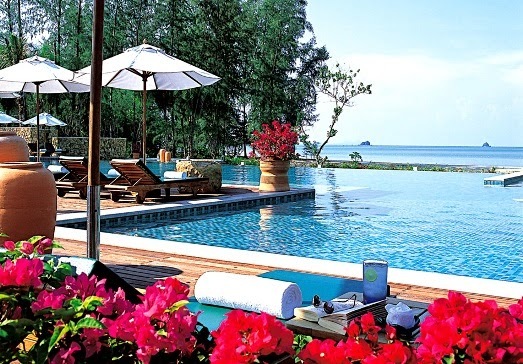 Its beachfront location and luxurious settings offer the best bet for a memorable Krabi holiday. 4. 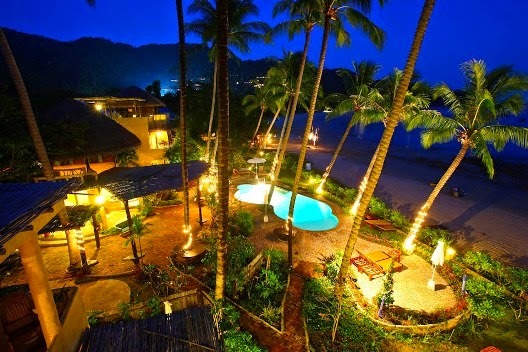 Ao Nang Villa Resort, Ao Nang: Pay a 3-star tariff and enjoy the 4-star advantage. Lying in one of the most coveted locations, sandwiched between the beautiful beach and majestic limestone cliffs, this is an offer not to be missed. 5. 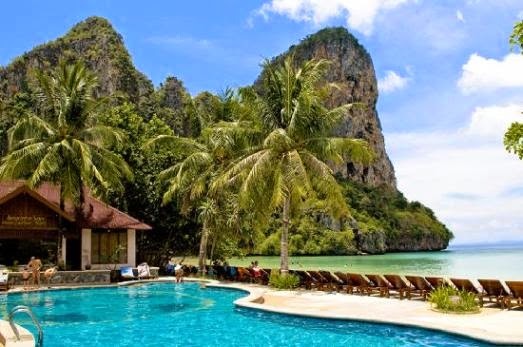 Railay Bay Resort & Spa, Railay: This 4-star resort is famous for its enviable location on Railay beach and its unbelievably low tariffs. 6. 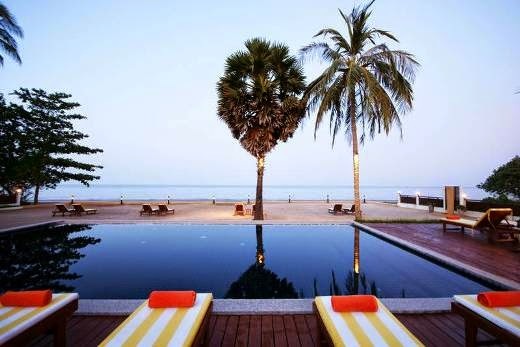 The Beach Boutique Resort, Hat Yao: This reasonably priced, 4-star resort is located on the unspoiled and serene beach of Hat Yao. The resort grounds is surrounded by fishermen villages, which adds a local tinge to scene. 7. 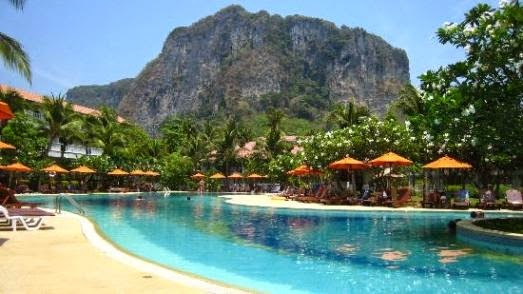 Phra Nang Inn Hotel, Ao Nang: Located on the beach, close to the pier, Phra Nang Inn Hotel is an ideal choice for tourists who want to move around the province. Luxurious yet affordable is the hallmark of the hotel. 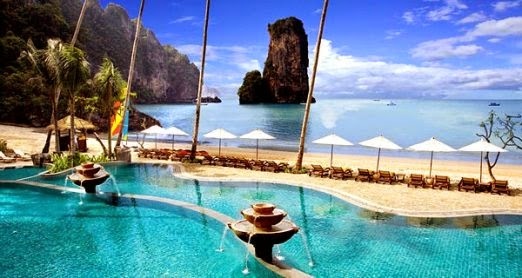 There are affordable luxury Krabi hotels in plenty to give you the best Krabi holiday experience.